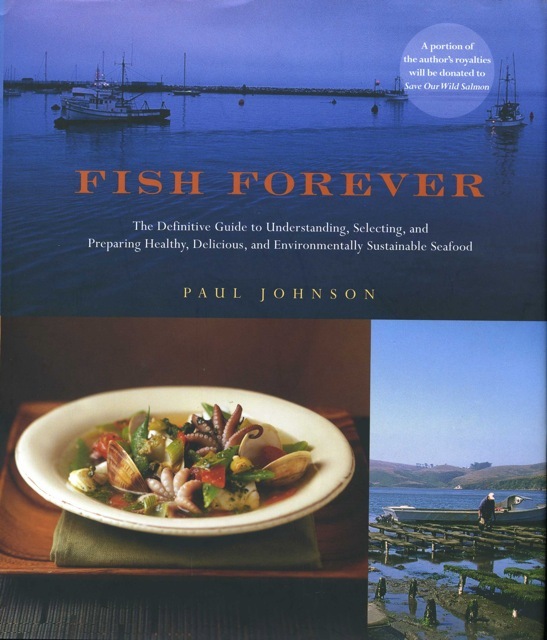 Few people know more about fish than Paul Johnson, whose Monterey Fish Market in San Francisco supplies seafood to some of the nation's most celebrated chefs, from Alice Waters, Thomas Keller, and Michael Mina to Todd English, Daniel Boulud, and Alain Ducasse. Now, with Fish Forever, Johnson shares his peerless seafood expertise. Written for people who love seafood but worry about the overfishing of certain species as well as mercury and other contaminants, Fish Forever pinpoints today's least-endangered, least-contaminated, best-tasting fish and shellfish species. Johnson provides in-depth guidance on 70 different fish, along with 96 recipes that highlight the outstanding culinary qualities of each. In addition to teaching readers about sustainable fishing practices, Johnson will be donating a portion of his royalties to Save Our Wild Salmon, an organization that works to restore wild-salmon runs. Fish Forever was also named the International Association of Culinary Professionals' 2008 cookbook of the year.